The familiar spin of the roulette wheel and the sound of the ball bouncing from number to number, with that hush of the table as it rocks to its new home. It’s the stuff of classic Bond films and the mandatory shot for any film scene in a casino. So how could you create a new spin on a game like roulette? Well, the team at Evolution certainly found a way! With some ultra-sleek graphics and an impressive array of variations on roulette, Evolution’s VIP Roulette is a winner from many angles. Read more to find out how this online roulette game stands out in the crowd. 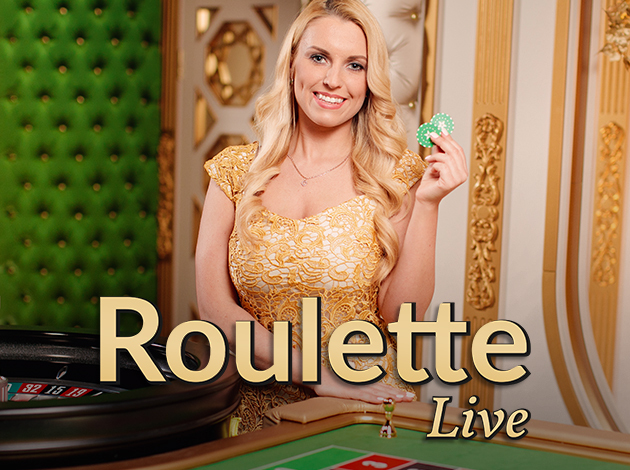 VIP Roulette offers many games, each with their own rules, payouts and theoretical return to player (RTP), as well some great ways to customize your experience. In short, you will not have a lack of options playing VIP Roulette. But in addition to the variations on the game listed below, there are some really impressive features that will make any game more comfortable and engaging. VIP Roulette features a Favourite Bets menu, where you can store up to 15 bets that you’d like to reuse. Additional features include chat windows, access to your game history and statistics, and well as the Hot and Cold numbers. Immersive Live: allows players to enjoy video in HD with slow motion replay of the winning number. European Roulette: the standard, and the most popular version with largest number of tables in use at a time. Numbers 1-36 and a single 0. Speed Roulette: get things moving...only 25 seconds per spin! This lets you get more games in. French Roulette: adds La Partage rule: if you make an even-money bet and the ball lands on zero, you’ll only lose half of your bet. Native Speaking Roulette: London Roulette, Venezia Roulette, Deutsches Roulette and Svensk Roulette are all quick additions, and there are native speaking dealers available for almost any language. Not only can the language be customized, but thanks to the blue screen wizardry, the entire layout of the casino can be altered. Live Double Ball Roulette: two balls at once to double your fun! This is an Evolution exclusive, and it offers payouts up to 1,300 to 1. Double Play Roulette: an interesting combination by adding online betting with real-life players at tables. Mini Live Roulette: this option gives you a smaller window, which allows you to play 2 games simultaneously. Sling Shot Auto Roulette: no live dealer, but a faster automated game allowing you 60-80 games per hour. Lower betting units also draw larger crowds. American Roulette: with both the 0 and the double 00, potentially leading to some hotter action. So as you see, you’re welcome to play by the rules you’re most familiar with. You can also easily try out a new game for some variety. You’ll find some of these games will attract some high-stakes players as there is potential for some big wins. Evolution has gone all out to give its players a so-live-you’re-practically-there experience with their VIP Roulette offering. With multiple camera views, slow motions shots and HD quality on the table and dealer, these visuals will surely impress. The sound quality is great, you get the familiar buzz of a casino, but still hear the dealer speaking clearly. Expect the dealers to rotate regularly as well, adding to your casino experience as you meet and interact with new personalities. The team at Evolution have outdone themselves with VIP Roulette. Not only are the visuals and audio high quality, but they’ve provided a number of truly interesting variations on a classic game. Making the most of the hybrid live-virtual playing situation, VIP Roulette lets you feel like you’re at the table in a big league casino wherever you are. Features like chat let give you the option for some banter with your table mates or the dealer, but sound options can give you a quiet experience if that’s more your style. Give Evolution’s VIP Roulette a try on Videoslots.com!